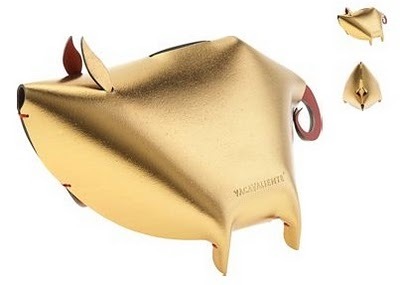 How cute is this gold piggy bank? It's made out of recycled leather. Even though it's cool, I'm not putting it on my Christmas list.